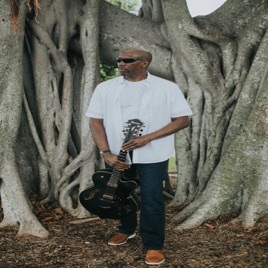 A multi-instrumentalist (piano, bass, guitar) who launched his career as a teenager funkin’ with gospel great Shirley Caesar, d. Mills has been bringing spiritual-minded urban soul to his Smooth Jazz Projects since 2007. “D’s Groove,” his latest slice of irresistible crunch-grooving cool, offers a perfect showcase of his deep melodic artistry on all his instruments, balanced by exciting improvisational solos on trumpet and sax. With an instrumental version and one featuring anthem-like wordless vocals, “D’s Groove” is the lead single from Mills’ upcoming EP NEXT STEP.